◦ Adjustable to several heights and angles. ◦ Convert into a child’s seat using the shin pads as a cushion. ◦ More than 100 upholstery options including leather. If your job means you have change office often, there’s no guarantee that your temporary workplace will provide a seat that will look after your back. There’s a good chance you’ll get the coffee-stained chair whose memory foam cannot forget the contours of the 20-stone middle manager who occupied it for a decade. With the Varier Multi balans chair you can put that nightmare behind you. This is a portable kneeling chair that you can fold and put in the boot of your car. Whether it’s consultancy, make-up artistry, or book-keeping that takes you from one workplace to another, the Multi balans can go with you. Even if you don’t move around, it’s ideal if space is at a premium and you need to store your chair when not in use. Like the Variable balans, this is one of Peter Opsvik’s designs which has stood the test of time. It’s still in production after 35 years not only because it is a top-quality product, but also because it allows for movement. Even if it does not rock like a Variable or a Thatsit, it does offer for some flexibility with its adjustable seat height so that you can go from squatting to almost standing. 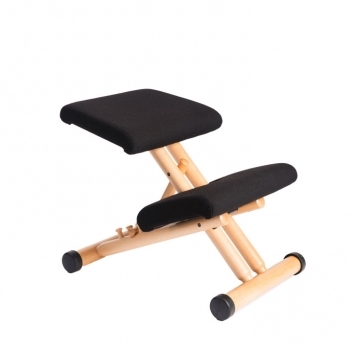 Children can even turn it into a chair and desk if they sit on the shin rest and use the seat cushion as a desk. 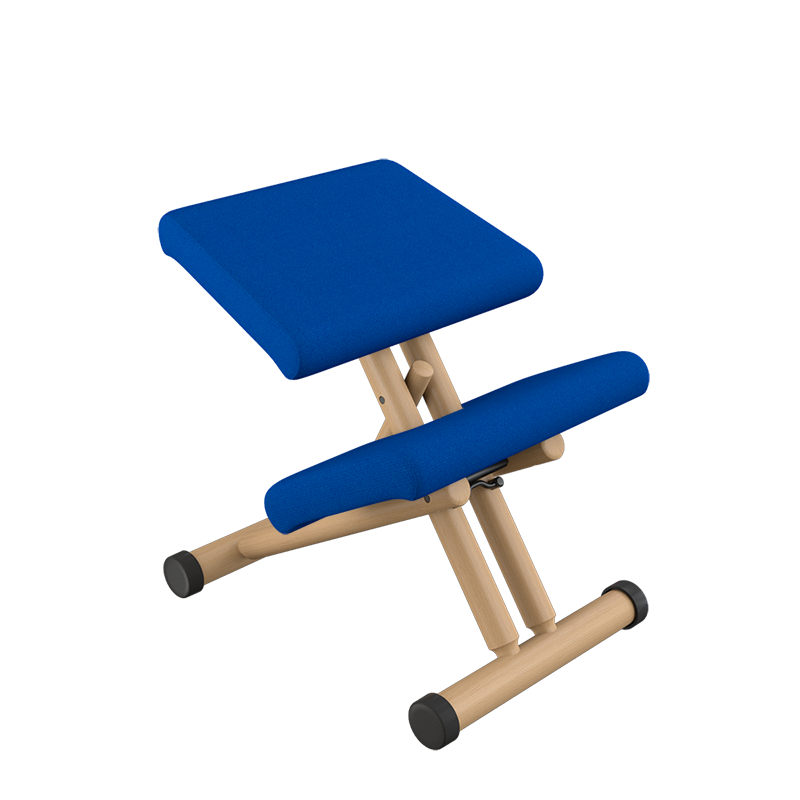 As with Varier’s other kneeling chairs, the Multi balans offers all the advantages of adopting a healthy kneeling posture. It’s kinder on your spinal disks, while you benefit from having your upper body in balance and improve your core strength. The Multi balans also comes pre-assembled, so no puzzling over different sized screws and bits of dowel required.